Since 2006, Ideal Air Heating and Cooling is your best choice for repair, installation, and service in homes and buildings just like yours in the Johnson County Kansas. We take special pride in the craftsmen we train and employ--a fact you'll see in the reviews below. It's also noticeable immediately in the attitude and integrity our technicians bring to your job site. Our entire company works hard to make your experience with us hassle-free and enjoyable. You can also be assured that Ideal Air Heating and Cooling stands behind the work we do as well as complies with all local codes. This is why, as you can see by the map and reviews below, we are rated so highly for AC, Heat Pump, & Furnace Repair in Spring Hill, KS. Call us today at 913.422.7373! The entire Ideal Air team is professional and provides service you can trust. Thank you! Thankful to get on the schedule so quickly. Performed furnace tune up on 2015 York Air Handler and Heat Pump. PM check on electrical and ignition systems, safety controls, service and test of humidifier. Also checked 20x25x1 filter and dampers. Performed tune up on 2014 York heat pump. Checked electrical wiring and connections. Checked filter and left replacements. Tested motors and capacitors. Tested refrigerant temperatures and pressures. Performed a air conditioner check out on Goodman system. I checked Freon and electrical amps. 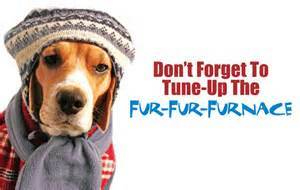 Air conditioner tune up. Also found the system short of Freon; recharged system up to proper pressures and replaced the primary motor starter. Replace blower motor on indoor section. Responded to a non-working Goodman system. Replaced the standard capacitor with a heavy duty turbo capacitor and recharged the system up to proper pressures with R410A Freon. Diagnosed a non-working York air conditioner. Installed a compressor saver matched to the compressor. Seasonal AC tune up on a Goodman air conditioner. Turned off humidifier which does have a water valve stuck in the on position. Should fix at fall furnace tune up. Removed old Lennox air conditioner and coil. Installed New York air conditioner and coil. Vacuumed the system and charged to proper temperature and pressures.